While the French Quarter is a fascinating place to simply sit and stare, it becomes ever more so when you make the effort to learn a bit about its history, quirks and secrets. A veritable panoply of guided tours are available to address all manner of subjects specific to the French Quarter and a knowledgeable, enthusiastic tour guide can peel back the wrappings and allow you to see what’s really inside. French Quarter tours are quick crash courses that take the form of everything from polite, informative walking tours to pub crawls, paddle wheeler sojourns, horse-drawn carriage rides and bizarre nocturnal romps in search of ghosts and vampires. Some tour guides work independently and offer their services almost as a “friend in New Orleans” – for hire. Some of them are highly specialized and offer a microscopic look at one area of interest. 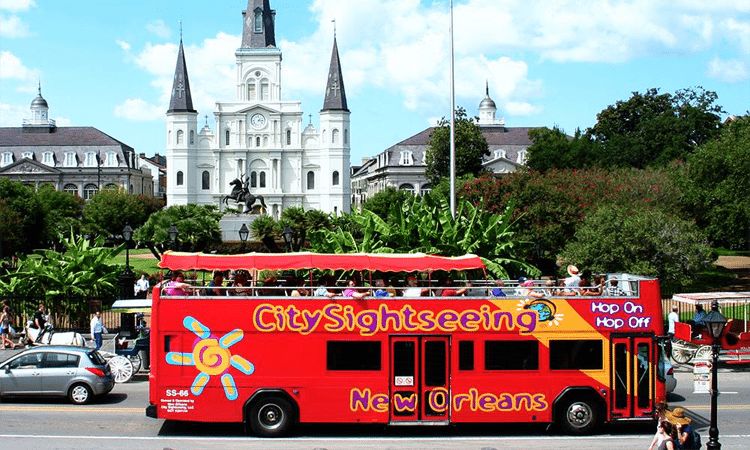 Others touch on a little bit of everything, like City Sightseeing New Orleans – New Orleans’ Hop-On Hop-Off tour that traverses four distinct neighborhoods in classic red open-top double-decker buses. At the other end of the spectrum is Gray Line Tours, a comprehensive one-stop shopping Mecca on the tourism front with numerous tour options available from one brochure. The company offers investigative tours of the French Quarter and Garden District as well as a sweeping look at the entire city. Specialty tours include a cocktail tour, swamp and bayou tours, plantation tours and ghosts and spirits tours. At the other end of the spectrum is Gray Line Tours, a comprehensive one-stop shopping Mecca on the tourism front with numerous tour options available from one brochure. The company offers investigative tours of the French Quarter and Garden District as well as a sweeping look at the entire city. Specialty tours include a cocktail tour, swamp and bayou tours, plantation tours and ghosts and spirits tours. Due to its status as the epicenter of the New Orleans, many tour companies offer transportation from French Quarter hotels and landmarks for exploration of other parts of the area. Highlighted below are a few of the many tours available. Some are noted for their outstanding reputations, others are noted for the unique nature of their offerings. For French Quarter tours and beyond, a tour that offers a few days of sightseeing is a great option for exploring. City Sightseeing New Orleans is New Orleans’ most flexible tour, with options for 1-Day and 3-Day unlimited Hop-On Hop-Off Sightseeing . Visitors can view New Orleans from a red open-top double-decker bus while enjoying live narration from a guide. These tours also include walking tours and “City Deals” throughout the city for those who want to Hop-Off and enjoy its many attractions. Nola Tour Guy – Offers a free “pay what you feel” tour experience of the Quarter and St Louis Cemetery. Well known and respected by both locals and repeat visitors to the city. City Sightseeing New Orleans boasts several walking tours along with their 18-stop route, including one starting at the New Orleans French Market. Learn about the French Quarter’s history and see some of its most popular attractions, then hop back on the tour bus to explore beyond the French Quarter! National Park Service – These popular 90-minute walks are free and led by rangers from the New Orleans Jazz National Historic Park. These tours are hugely informative and focus on history and architecture. Gray Line French Quarter Walking Tour – These tours make up at the River and Toulouse Street then range throughout the Quarter visiting all the key points including Jackson Square, the Old Ursuline Convent, the Pharmacy Museum, Washington Artillery Park, Royal and Bourbon Streets. Every day from about 8 a.m. to midnight, mule-drawn carriages line up on Decatur Street in front of Jackson Square. These tours are a staple in New Orleans tourism. Some carriages hold four people, others hold six. They roll through the French Quarter, rain or shine, pointing out all of the expected sites. For something more substantial than the standard nickel tour, carriage drivers can be engaged for private tours of the city. See the city from the body of water that made it all possible. Steamboat Natchez Cruise – Riding the last steamboat on the Mississippi River recalls an era when steamboats were the main source of transportation, communication, and commerce. It cruises downriver to Chalmette (7 ½ miles) and back twice daily, and once in the evening for a Dinner Jazz Cruise with the Grammy nominated Dukes of Dixieland. During the day there is live jazz and optional food and beverage in addition to the historic and port narration. These tours range from highly educational and informative, such as those offered by the reputable Save our Cemeteries, to absolutely ridiculous to the point of insult. Due to their popularity, there are so many vampire, voodoo and whatnot tours currently available that over-competitive guides have been known to engage in battle over customers in Jackson Square. Note that due to vandalism issues, only approved docents who are registered with the Archdiocese of New Orleans can lead tours into St Louis Cemetery No. 1. Gray Line Ghost & Spirits Walking Tour – Includes several ghost tour operators, which means no two tours are exactly alike. While the sites you visit will vary, expect to take in destinations including haunted hotels. Historic New Orleans Walking Tours: Cemetery & Voodoo Tour – The guides at this blue chip touring outfit have a talent for sprinkling just enough intrigue and mystery over the facts to keep them compelling. Save Our Cemeteries – This outstanding non-profit group works to preserve the city’s fragile, crumbling burial places. The tours are led by Save Our Cemeteries-trained volunteers who unveil the mysteries of Lafayette Cemetery No. 1 in the Garden District as well as St. Louis Cemetery No. 1, which is adjacent to the French Quarter. The wise folks at Save Our Cemeteries are wise to the reality that these places are compelling enough without the mythical embellishments some others place on the Cities of the Dead. Flat, warm New Orleans is a perfect city for casual cycling. Confederacy of Cruisers – The original godfathers of the local cycling tour scene, the folks at Confederacy offer several wryly funny tours of the city’s iconic neighborhoods (including the Quarter). Some rides take in the city’s distinctive architecture, and some focus on the great cocktails of Creole culture – any way you slice it, you’ll bike away happy. Learn serious facts about the history of jazz or bang your head at a nightclub. The offerings are diverse. Cradle of Jazz Tour – Visit the birthplaces of JellyRoll Morton and Buddy Bolden with jazz aficionado and historian John McCusker during his 2.5-hour Friday and Saturday tours into the heart and history of the city’s definitive musical style. The tour also visits cemeteries, old jazz clubs and other significant musical sites. 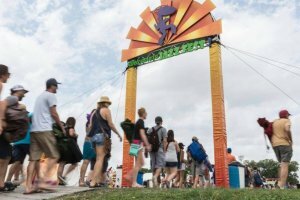 New Orleans Music Tours – Offers three different walking tours that range from a tour hour stroll past some of the Quarter’s seminal musical sites to a nighttime walking itinerary that takes in the live music scene on Frenchmen Street. Though there are days when the French Quarter may feel like a swamp, to really see one you have to leave the neighborhood. Several of the numerous swamp tour companies distinguish themselves for their quality while others merely ride along on ridiculous bits of pseudo-Cajun folklore and pantomimed accents, which people seem to eat up. The Louisiana bayous and swampland are stunning, majestic and mysterious. In summer, when the heat can be brutal, a morning tour is recommended. Insect repellent and sunscreen are a must. Reservations are required. These tours offer transport from many French Quarter hotels. 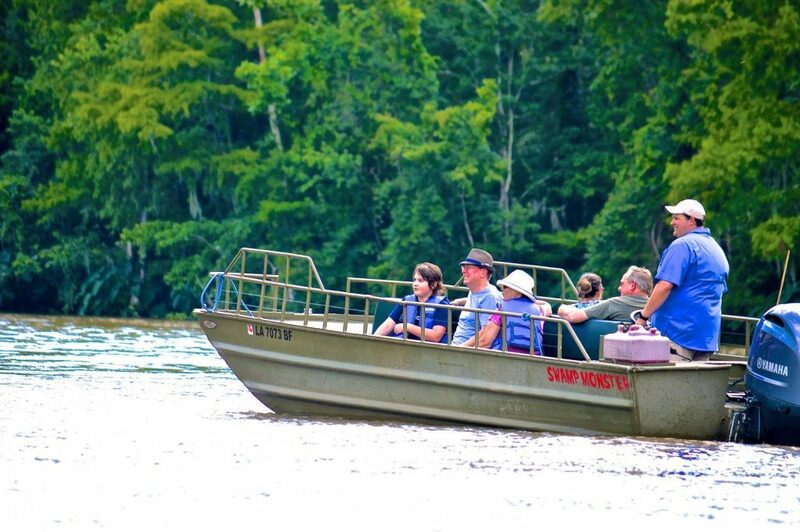 Pearl River Eco-Tours – While Swamp Tours may be numerous, this one, located 45-50 minutes from downtown New Orleans, distinguishes itself in a number of ways. The folkloric approach is avoided in favor of a learning adventure that is richly informative and exciting in its own right. The company’s president and founder is a lifelong resident of the area. The tour which heads deep into the Honey Island Swamp and White Kitchen Nature Preserve has become a favorite for its intelligent focus and quality experience. The site’s attention to detail – such as comfortable, well-appointed flat boats; a large, covered dock seating area; clean handicap accessible restrooms; complimentary insect repellant and sunscreen; and available refreshments – are unique bonuses not often encountered at this type of facility. Gray Line Swamp & Bayou Tour – After a short motorcoach ride across the Mississippi River, take a fascinating boat trip into the Louisiana Swamps & Bayous. Experience the timeless beauty of South Louisiana in a custom built, all weather swamp boat. Native guides will reveal the mysteries of the swamps and bayous and the Cajun “joie de vivre”. 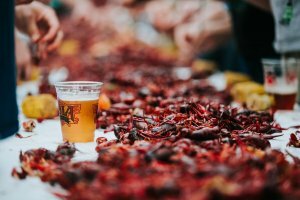 Hear how the Cajuns turned soup into gumbo, the washboard into a musical instrument, and the swamps of Louisiana into a paradise. Alligators! Observe the nesting grounds of alligators, egrets, raccoons, nutria, and many species of snakes. Some wildlife are more numerous during the warmer months of the year. Swamp Boat You will be treated to a Bayou Nature Wildlife Show by a local naturalist. Snakes, alligator snapping turtles, raccoons and nutria will be among the animal guests. Motorcoach guided tours leave from the Gray Line ‘Lighthouse’ in the French Quarter at Toulouse Street and the River. 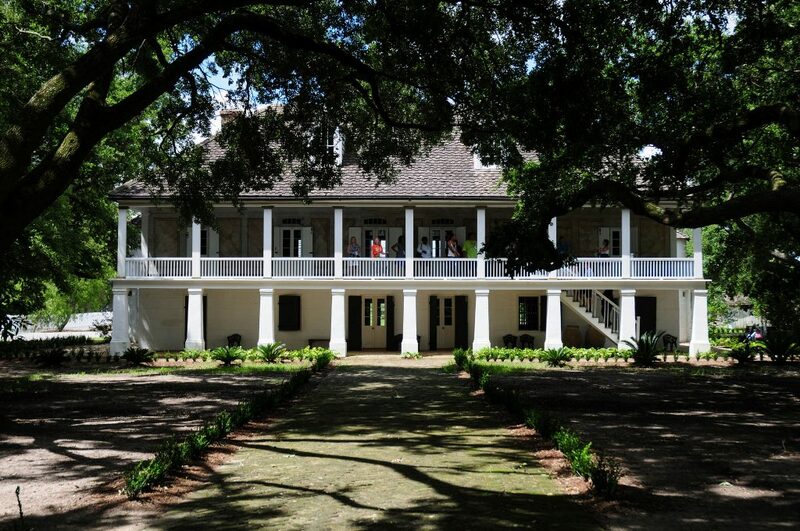 The Whitney Plantation, besides being a fine example of Creole architecture, is the only plantation museum in the state that focuses on the history of slavery.